"Welcome to The Porthminster Hotel, St Ives, Cornwall. For short breaks, summer holidays, weddings or business events we offer the best experiences in west Cornwall. Our inspirational breaks are tailored to meet your perfect holiday requirements." All reviews are the subjective opinions of third parties and not of the website or its owners. Reviews are placed by members of the public that have held a function or event at St Ives Harbour Hotel (Porthminster). 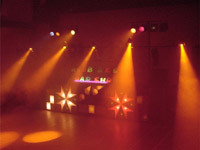 At needadisco.com we only accept reviews from confirmed clients that have booked a DJ to play at St Ives Harbour Hotel (Porthminster) via our website, with the arrangements independently verified by both the DJ and the client before the event takes place - no "fake reviews" here! Helpful information for DJs and entertainers visiting St Ives Harbour Hotel (Porthminster) provided by trusted members of needadisco.com. PARKING: There is a small car port opposite, but unlikely to have any spaces. ACCESS: Access is very very difficult, you will need to park in a dangerous place outside on double yellow lines, enter the hotel via several steps, go down 2 flights in a tiny lift and then a flight of narow stairs to access the function room. It is also possible to go through the hotel and outside and down and around a long steep path providing the upstairs room is not in use, but this is still difficult. STAFF: Staff seem polite but have a strange habit of wanting to keep turning the brightness of lights right up, dampening the atomsphere in the room. ADDITIONAL COMMENTS: "Loading unloading at this venue is very very difficult, you may have to park over 1/4 of a mile away in a pay car park as almost everywhere has double yellow lines." 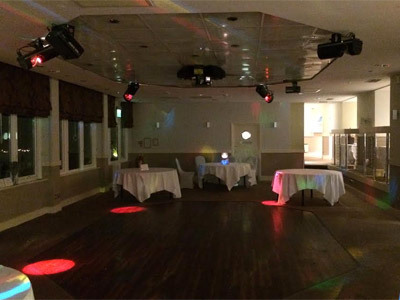 Information is based on enquiries and bookings handled via needadisco.com so whilst it's a great insight, if you have any questions or concerns about holding a function or event at St Ives Harbour Hotel (Porthminster) please contact the venue. 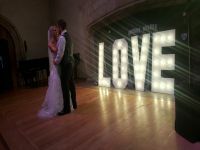 St Ives Harbour Hotel (Porthminster) has previously been hired as a venue for private parties such as birthday celebrations, anniversaries, engagements etc. St Ives Harbour Hotel (Porthminster) is in our Hotels category. The map below shows other local venues in the same category.